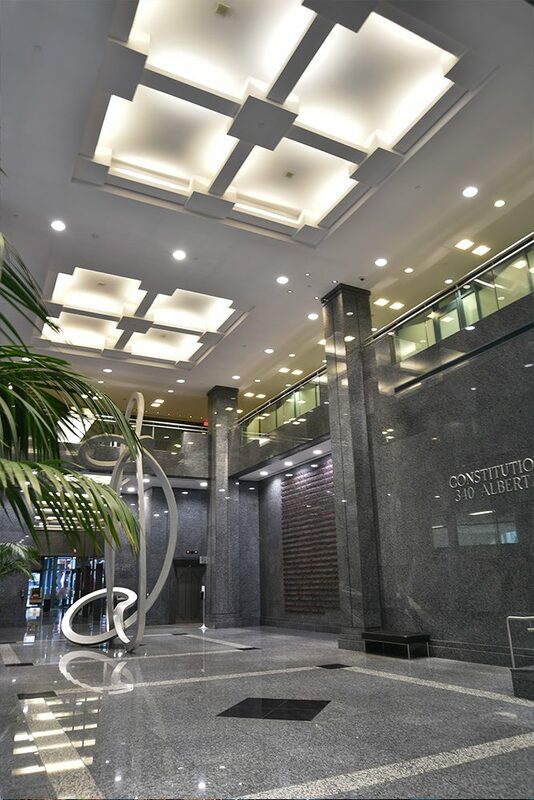 Be a part of Constitution Square, Ottawa’s premier class ‘AA’ office complex with striking views of signature buildings in Ottawa’s Parliamentary Precinct and the Ottawa River. Constitution Square offers a wide selection of high-quality spaces in a variety of unit sizes. 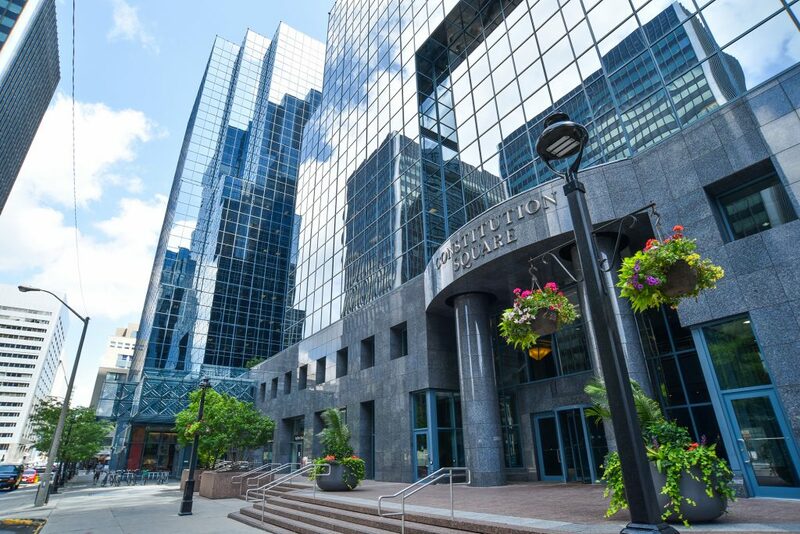 Be a part of Constitution Square, Ottawa’s premier class ‘AAA’ office complex with striking views of signature buildings in Ottawa’s Parliamentary Precinct and the Ottawa River. 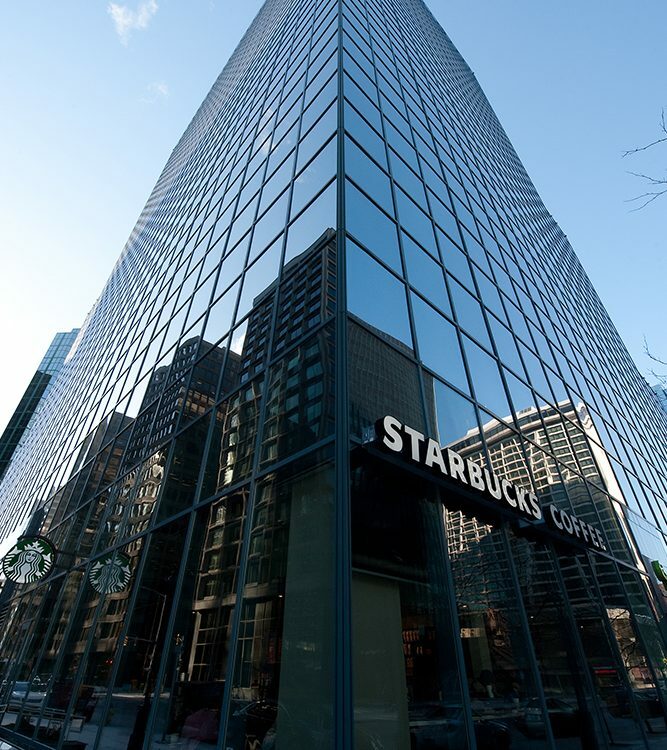 Constitution Square offers a wide selection of high-quality spaces in a variety of unit sizes. 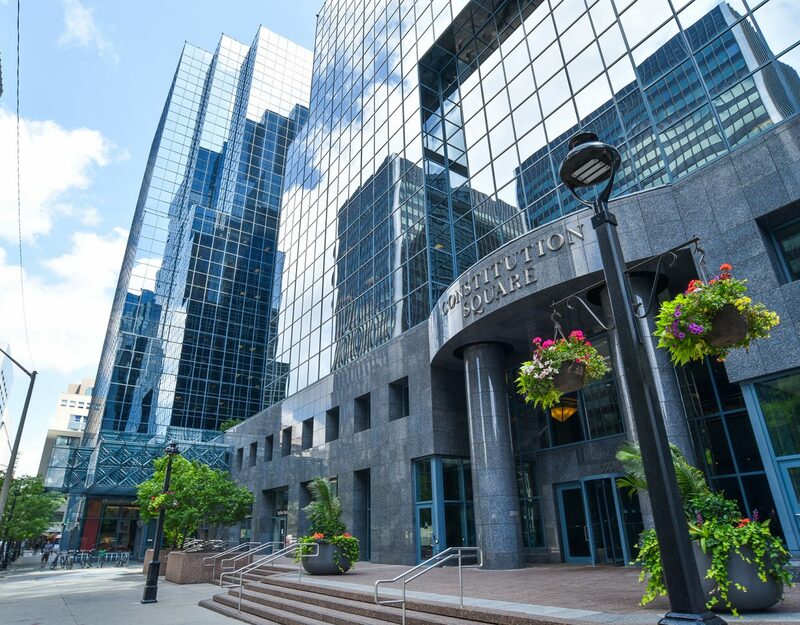 Constitution Square is Ottawa’s premier class ‘AAA’ LEED® Platinum certified office complex comprised of three prominent office towers that are joined at the base by an expansive, multi-story contiguous lobby. 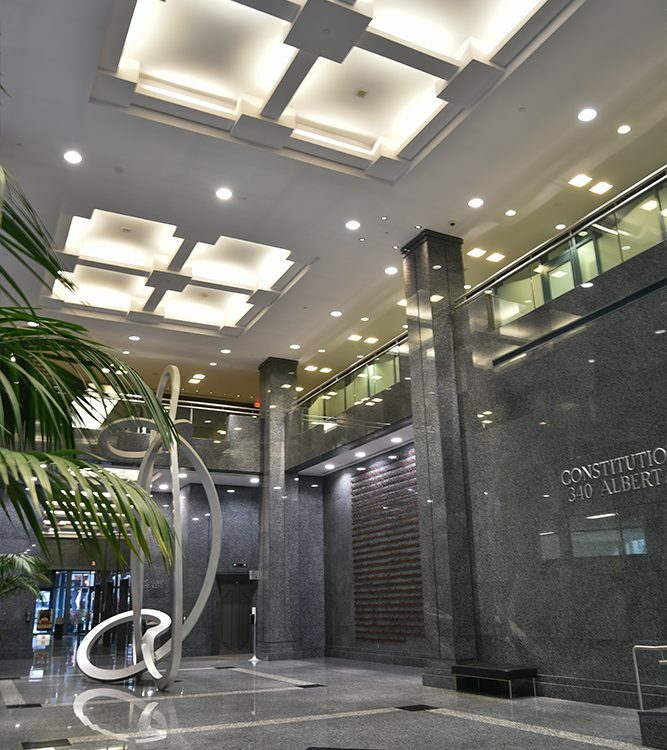 The landscaping, interior finishes and contemporary décor throughout Constitution Square are a testament to its level of institutional quality and management. 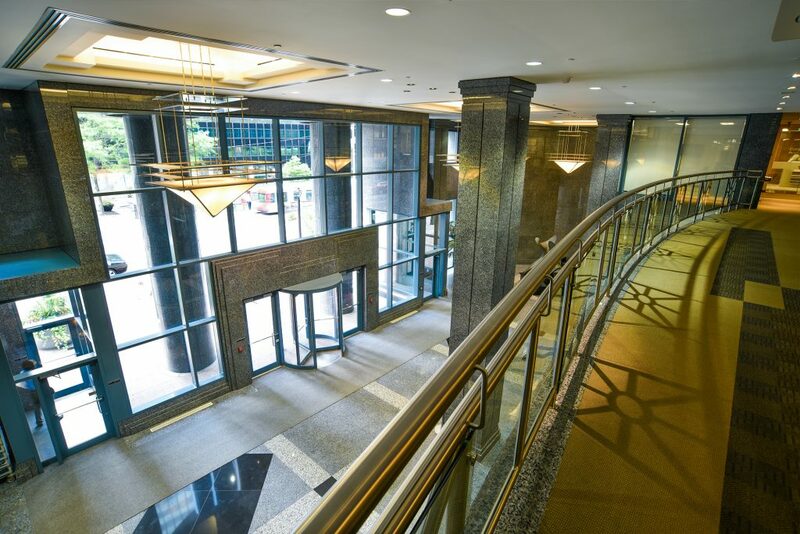 Tenants and visitors enter through one of six stylized exterior entrances to a spacious, high-ceiling lobby characterized by timeless flame-cut granite columns. 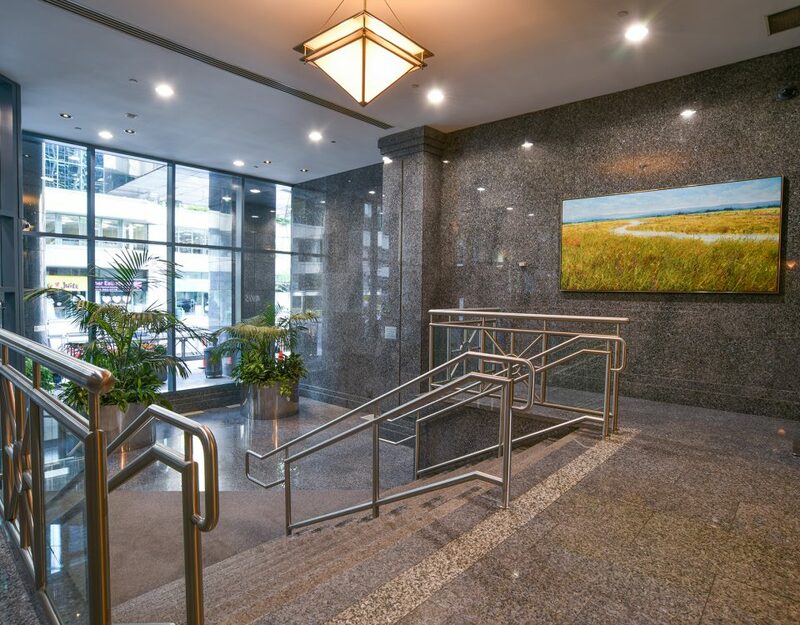 Its location in the heart of Ottawa’s Central Business District with easy access to all transit options, including Ottawa's soon to be operational LRT system, and convenient connection to/from Highway 417 via Lyon Street/Kent Street is unrivaled. Constitution Square offers a wide variety of quality amenities and retail services to customers, meeting their business and personal needs. Floor plates ranging in size from 15,900 sq. 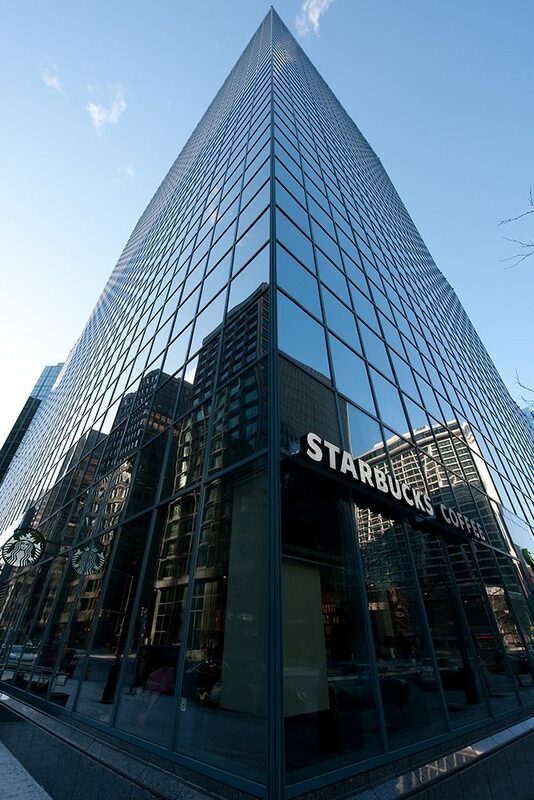 ft. to 18,900 sq. ft.
Total rentable area 320,292 sq. ft. Floor plates ranging in size from 17,500 sq. 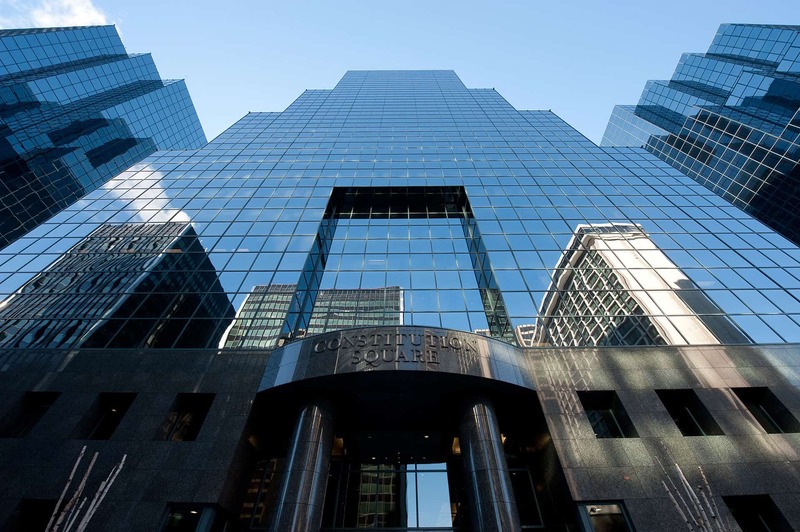 ft. to 20,800 sq. ft.
Total rentable area 399,213 sq. ft. 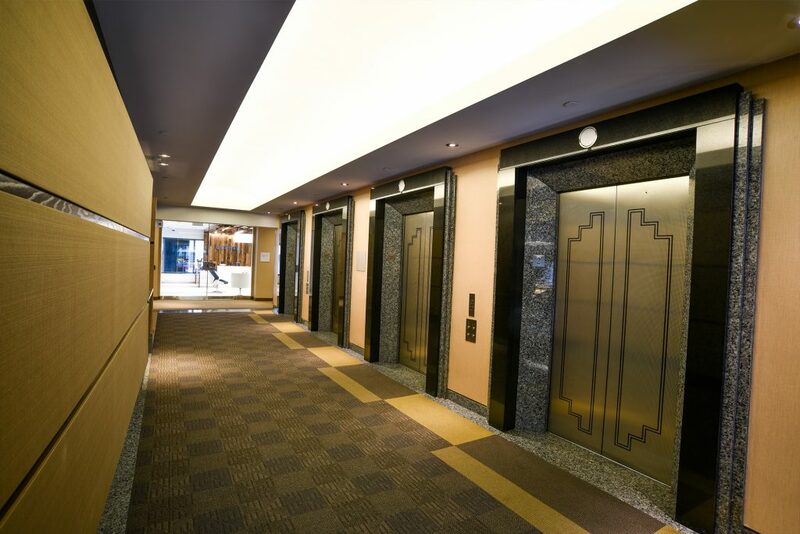 Floor plates ranging in size from 17,800 to 18,800 sq. 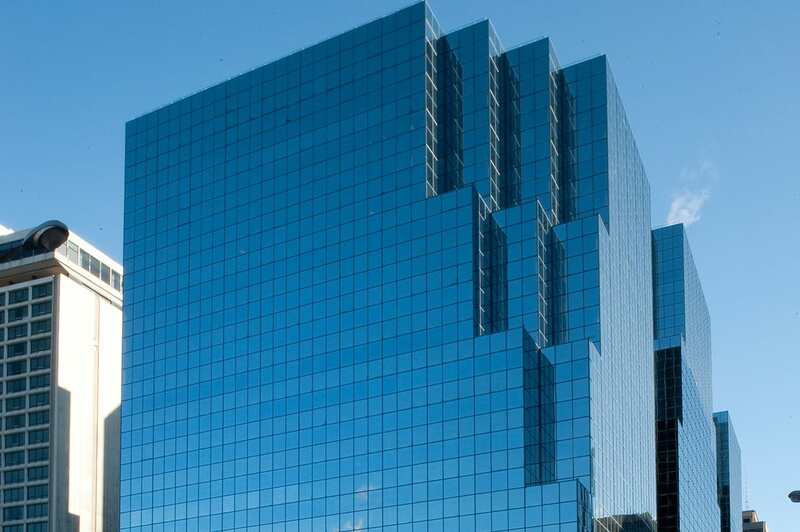 ft.
Total rentable area 344,940 sq. ft.
Enveloped by four of the downtown’s main streets (Kent/ Albert/ Lyon/ Slater), Constitution Square tenants enjoy the benefits of unrivalled transit service at their doorstep with eastbound buses stopping at the Slater Street entrance, the west bound buses stopping at the Albert Street entrance. In addition, access to Ottawa’s soon to be operational LRT system is less than a block away via the Lyon Station at the corner of Queen and Lyon Street. 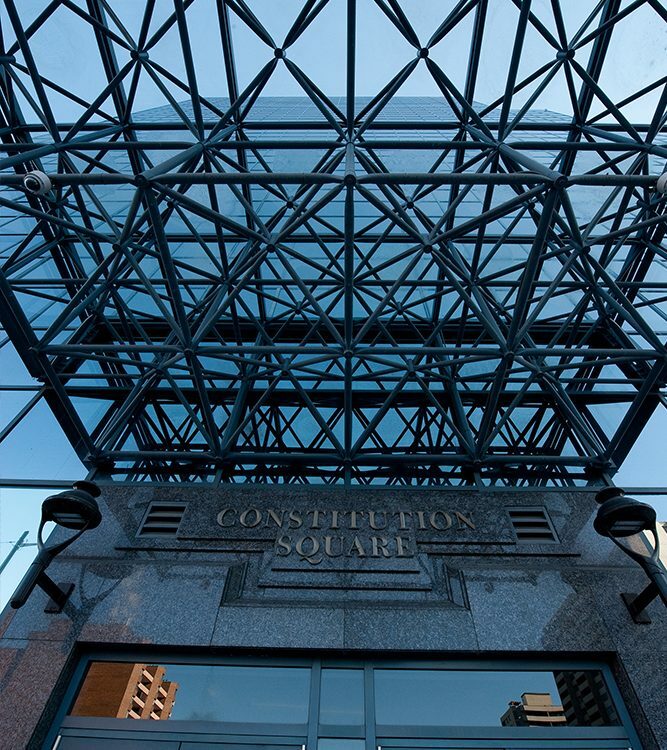 Constitution Square is located in Ottawa’s Central Business District and is minutes away from the Parliamentary Precinct. 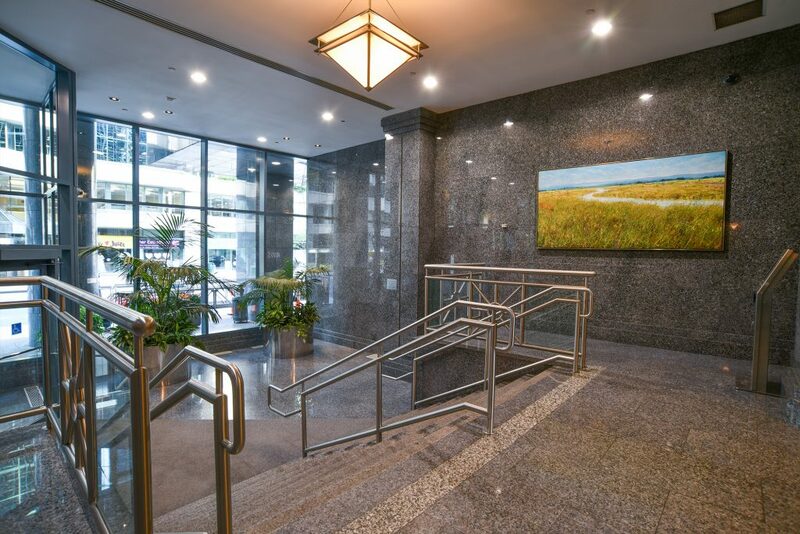 The complex enjoys convenient access to/from Highway 417 via Lyon Street/Kent Street. 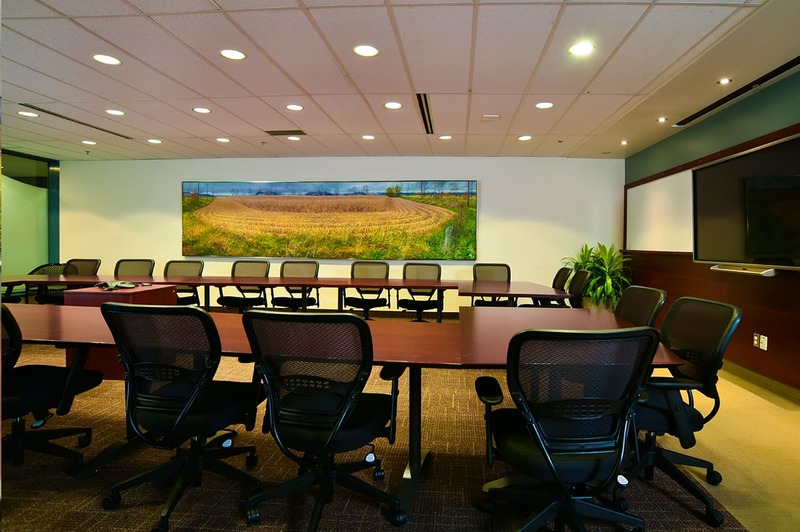 This high-tech-enabled conference centre occupies over 4,300 square feet and is available for the exclusive use of tenants. 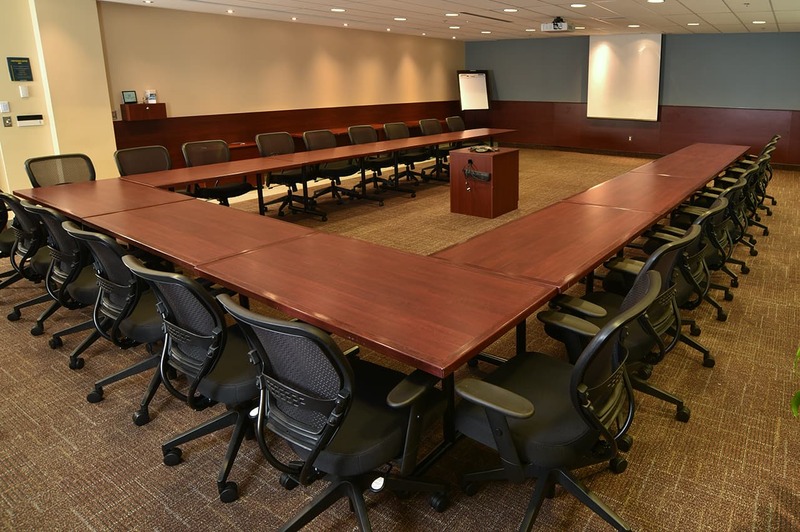 Five meeting rooms of various sizes make up the conference facility and are able to accommodate meetings from as small as a few people to as large as 100 people. 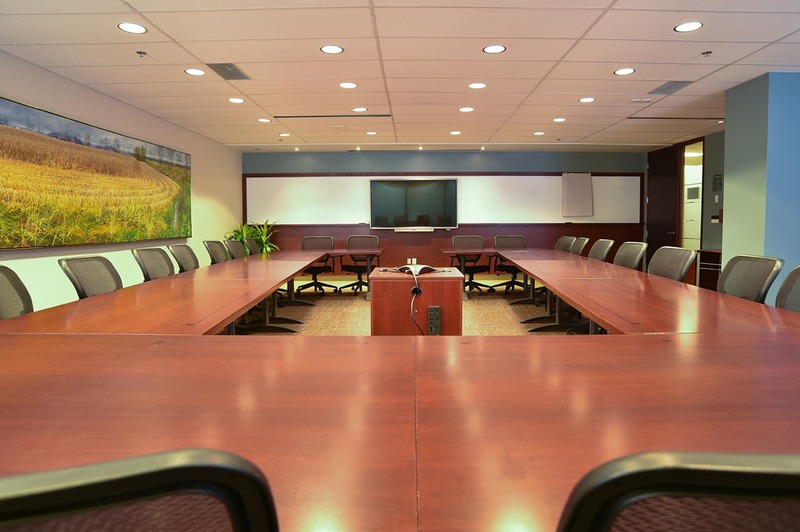 The conference centre has Wi-Fi internet connectivity throughout, Mitel conference telephones, a Smart Board and LCD projectors are available for use at no charge. Each meeting room has a charging station for mobile devices. 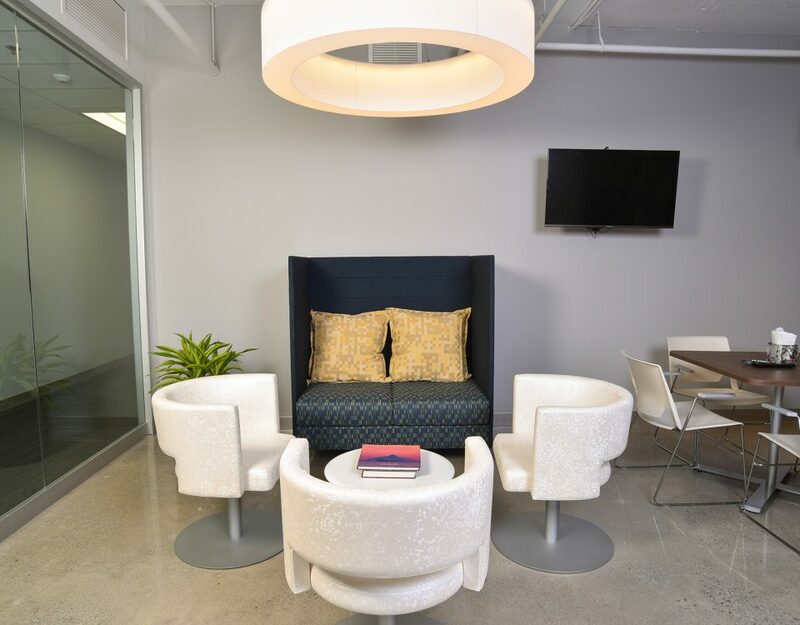 A retracting wall between two of the larger rooms and mobile furniture provides tenants with multiple layout options to accommodate their individual needs. A cloakroom and full kitchen allows for a multitude of catered functions and makes the conference centre capable of hosting a variety of events and functions. The fitness centre is available for the exclusive use of tenants and offers a range of equipment including free weights, weight and cardio machines, along with a fitness studio for exercise classes. There are locker rooms with shower facilities. Group exercise classes including yoga, pilates, cardio, strength training and kick boxing are offered Monday to Friday between 7:00am and 5:30pm. All-level running clubs are also offered throughout the year. Friendly experienced staff are available to provide guidance on equipment operation during the fitness centre’s core hours and personal training is available for members seeking extra support. 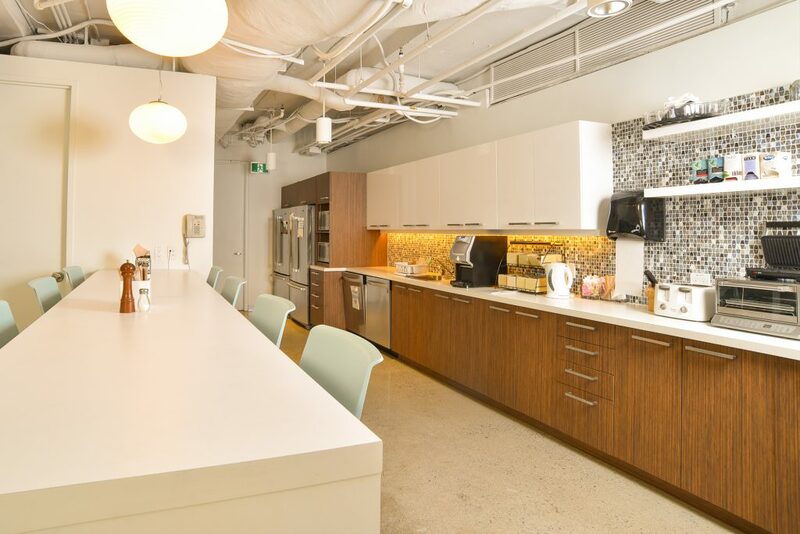 At Constitution Square you can enjoy the convenience of on-site childcare. 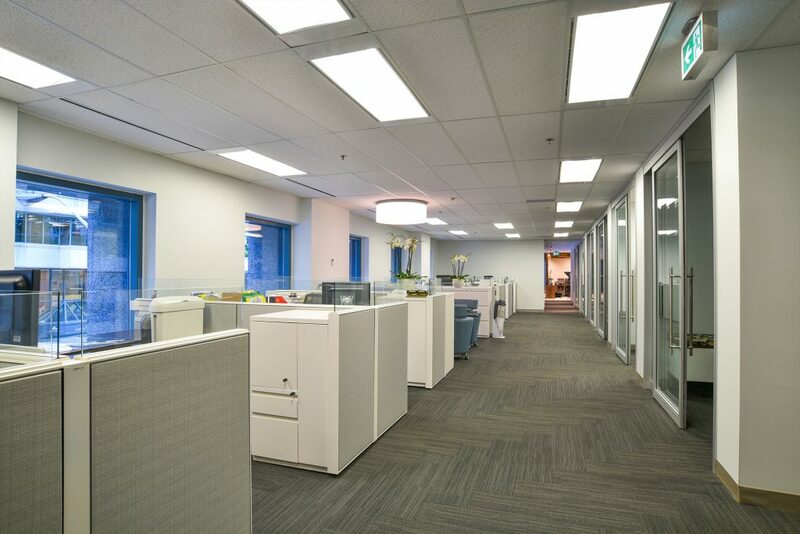 Kids & Company, a fully licensed daycare centre, is located on the ground floor in Tower I – 360 Albert Street . The climate controlled underground parking facility can accommodate over 650 vehicles. There is easy access to and from the parking facility from Slater Street through two entrances/exits, one of which is dedicated exclusively for monthly parking holders. Select parking stalls are reserved for short term visitor parking, green parking and electric vehicle charging stations. A self-serve vacuuming station is available for tenants at no cost. A car wash and complete detailing service is also on site . Constitution Square is a safe and secure complex at all times. Security officers trained in emergency procedures patrol the complex 24 hours a day, 7 days a week. 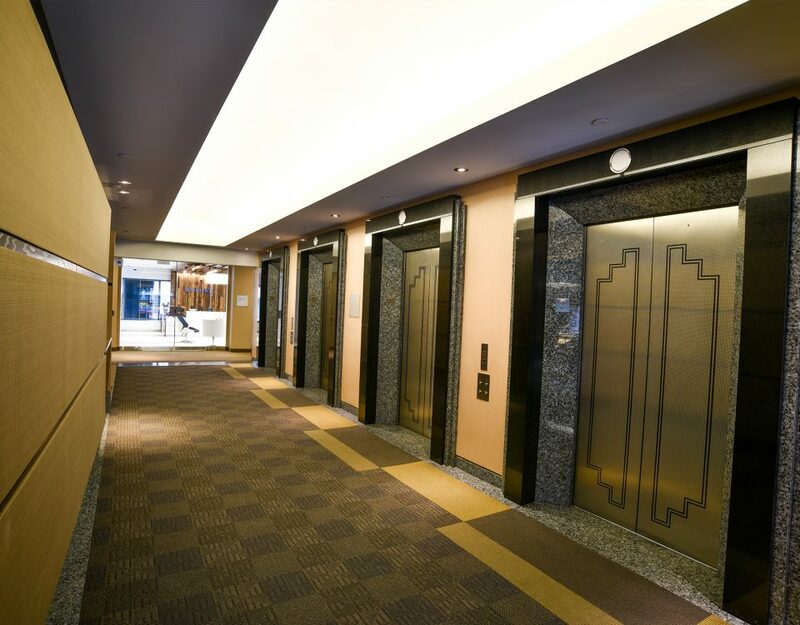 State-of-the-art systems are in place including security cameras equipped with motion sensors and alarms, which record sensitive areas and all entrances to the building. 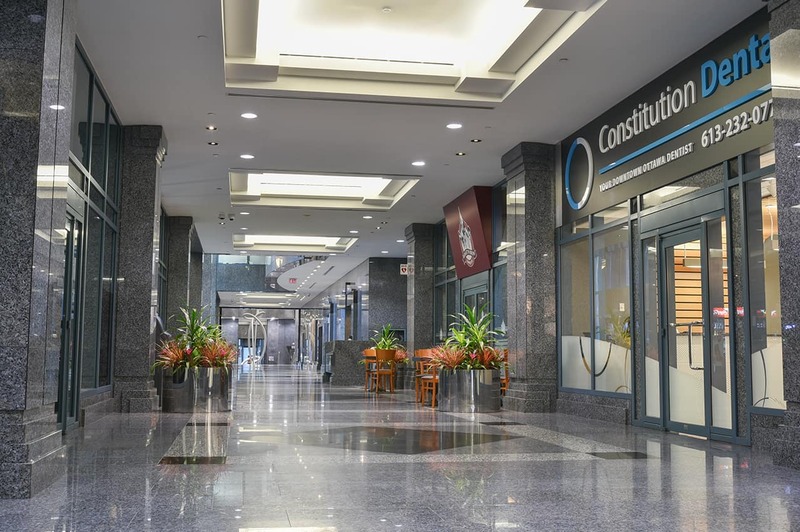 Constitution Square offers its tenants interior, secured bicycle storage facilities with over 200 spaces on the first level of underground parking available 24 hours a day, seven days a week at no cost. Constitution Square’s private terraces are located on the third floor between the towers. 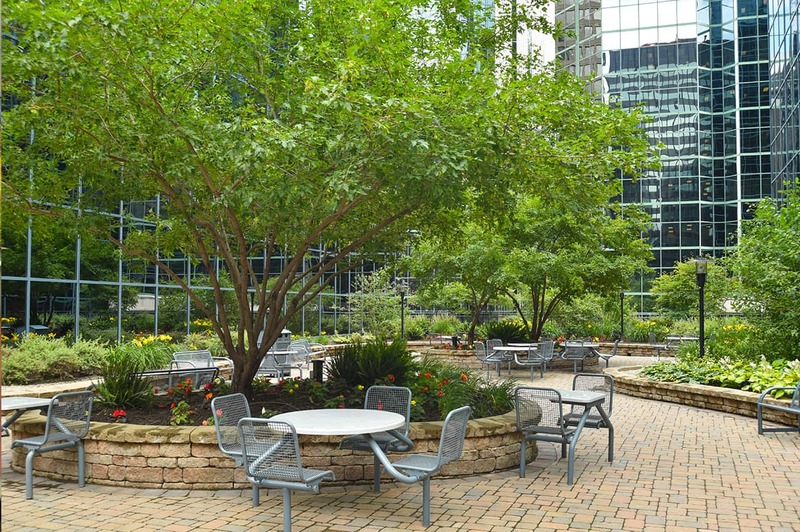 They offer tenants a tranquil oasis during lunch and breaks. The terraces feature patio furniture and number of professionally landscaped gardens. The terraces are also available to host private functions including BBQ’s, cocktails and tenant team building functions. 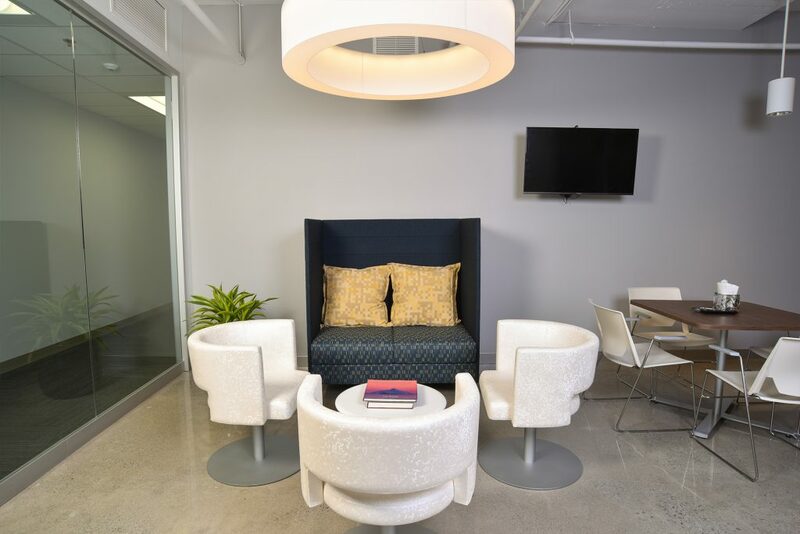 At Constitution Square you can enjoy the convenience of on-site childcare. 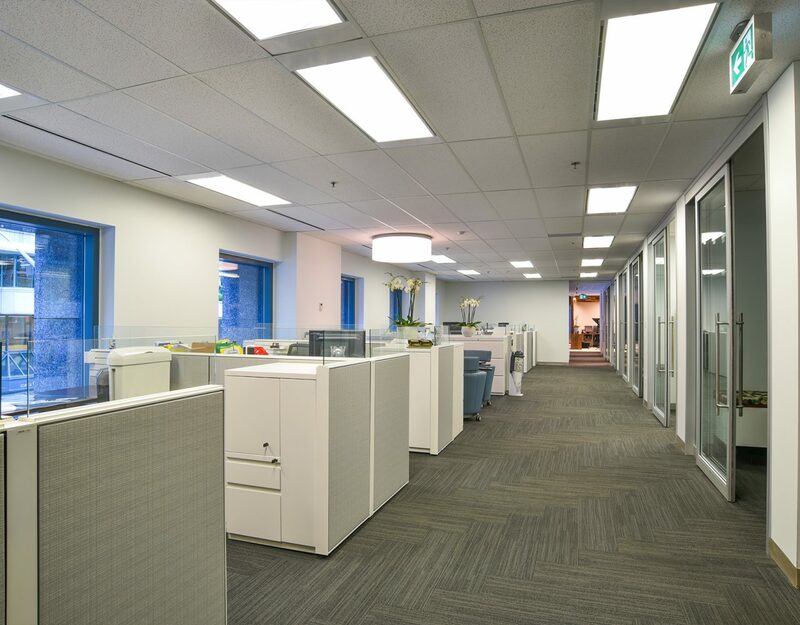 Kids & Company, a fully licensed daycare centre, is located on the ground floor in Tower I – 360 Albert Street. Our Canderel’s wide program "On the Green Path" expresses sustainability principles in the way Canderel runs its offices, manage its properties, and develops commercial and residential projects. Besides guiding Canderel in the efficient use of resources and the implementation of cost-effective technologies, it provides a platform for engaging its staff, tenants and partners in meaningful discussions about Canderel’s sustainability objectives. 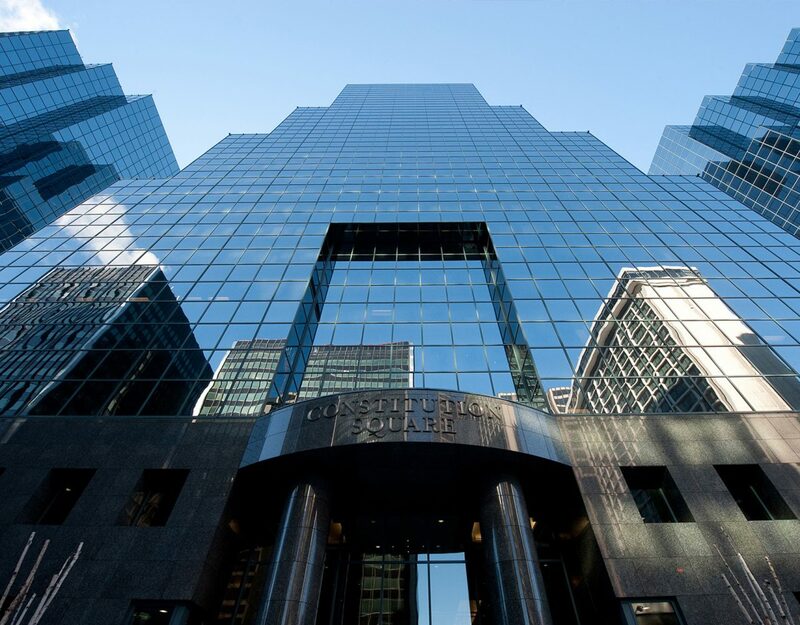 Acting on its obligation to reduce its ecological footprint has taken Canderel to the forefront of environmental practices in real estate development and management. 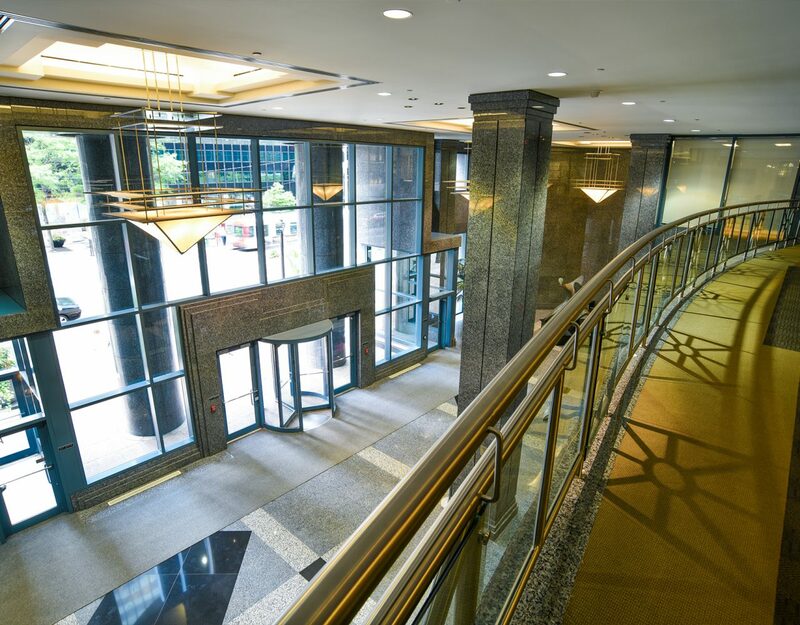 The building team at Constitution Square is committed to deliver the highest quality of service to tenants while minimizing the property’s environmental footprint by implementing responsible and innovative property management practices. The building achieved Platinum certification in the Leadership in Energy and Environmental Design (LEED®) for Existing Buildings: Operations and Maintenance (EB:OM) program in March 2015. 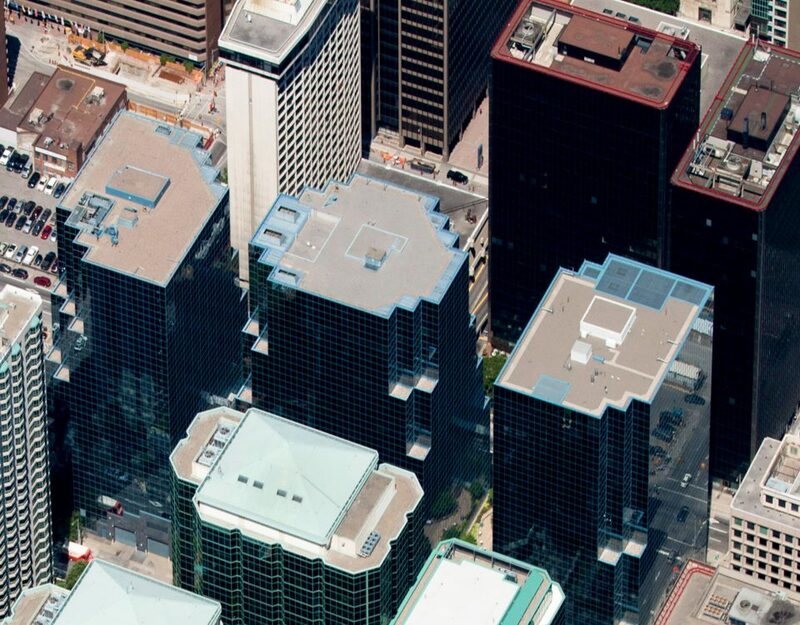 LEED® EB:OM rewards buildings which have successfully implemented green building best practices with respect to energy, water, waste, transportation, indoor environment, innovative practices and site management. 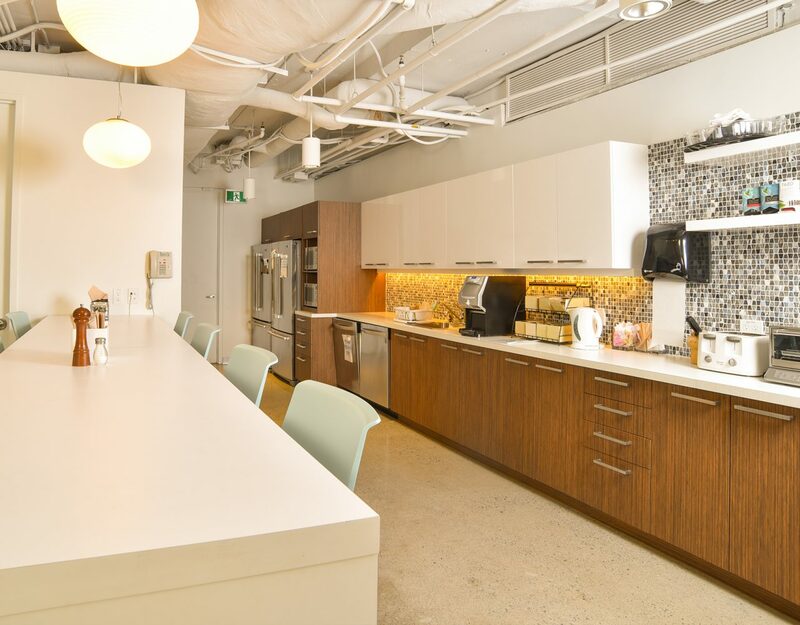 Canderel’s company-wide program "On the Green Path" expresses sustainability principles on how Canderel runs its offices, manages its properties, and develops commercial and residential projects. It provides a platform for engaging staff, tenants and partners in meaningful discussions about Canderel’s sustainability objectives while guiding Canderel in the efficient use of resources and the implementation of cost-effective technologies. Canderel is at the forefront of environmental practices in real estate development and management to reduce it's ecological footprint. 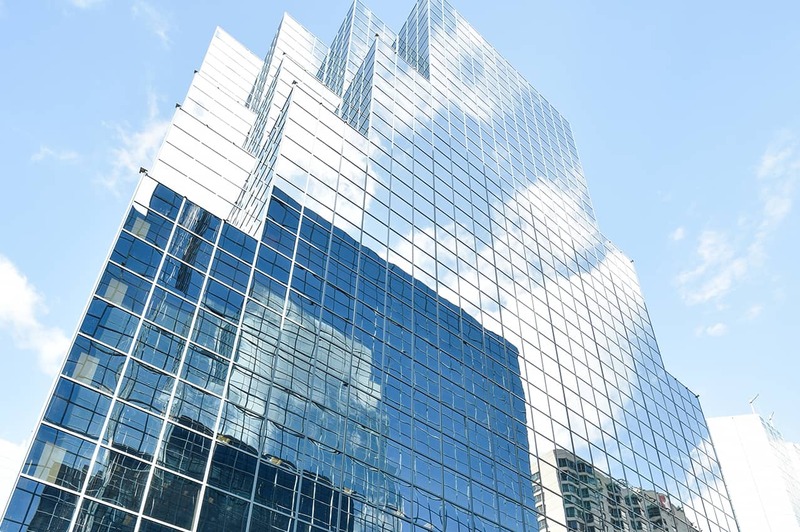 The building team at Constitution Square is committed to deliver the highest quality of service to tenants while minimizing the property’s environmental footprint by implementing responsible and innovative best in class property management practices. 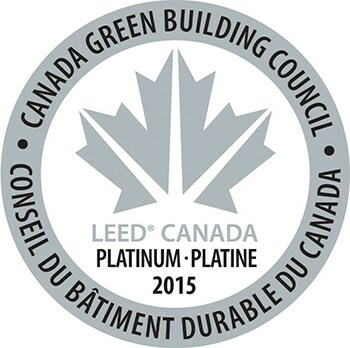 The building achieved Platinum certification in the Leadership in Energy and Environmental Design (LEED®) for Existing Buildings: Operations and Maintenance (EB:OM) program in March 2015. 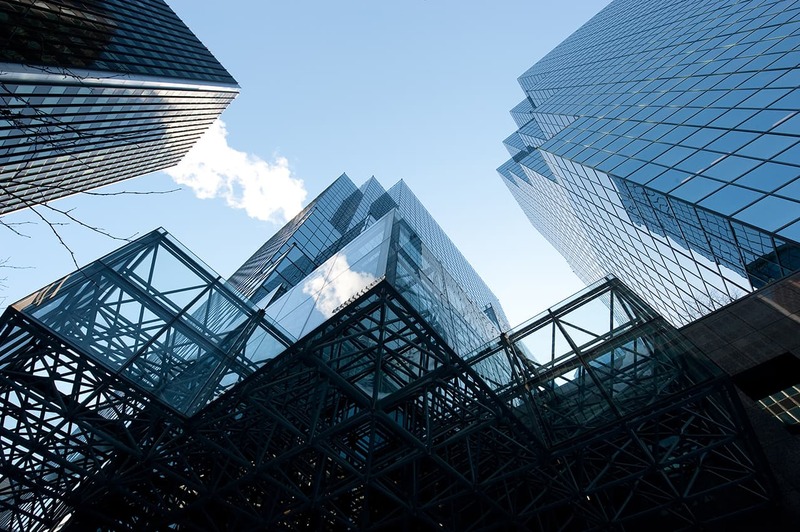 LEED® EB:OM recognizes buildings which have successfully implemented green building best practices with respect to energy, water, waste, transportation, indoor environment, innovative practices and site management. 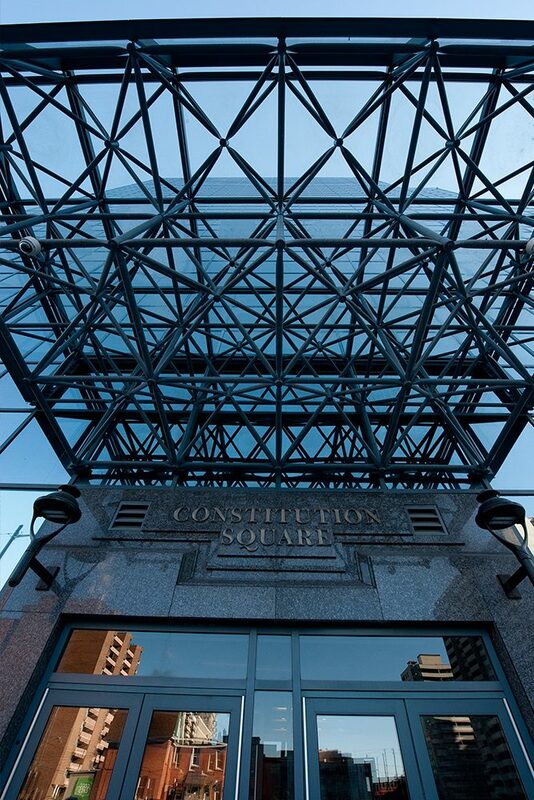 At Constitution Square on-line requests are managed by ANGUS Anywhere Systems which is designed specifically to enhance customer service experience. 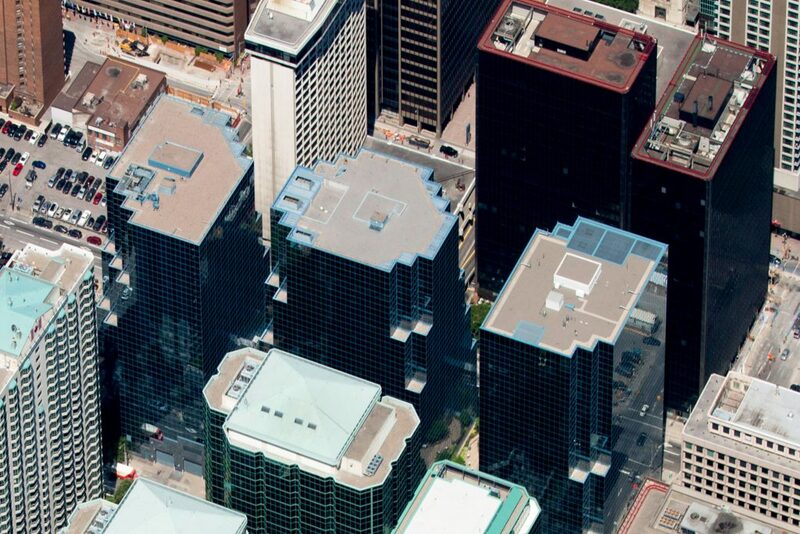 Tenant Request – ANGUS Anywhere Systems® technology allows customization of service level requirements of Constitution Square, ensuring that tenant needs are effectively met 24 hours a day, 7 days a week!